So, before I make the big "I've passed my final review and made it through grad school!" post, I wanted to throw something quick and fun up. I took my seven year old cousin Joey to a comic book store today and told him he could pick one super hero and we would find their origin story, or something to read to get to know them better. He chose Captain America ('atta boy) so we picked out a few Avengers things and Cap books for him to read. 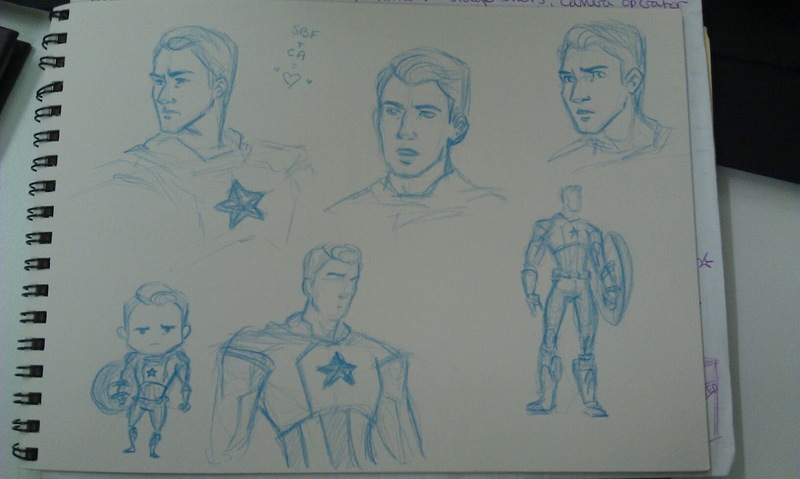 Clearly he's not the only on in the family with a little crush on Cap. 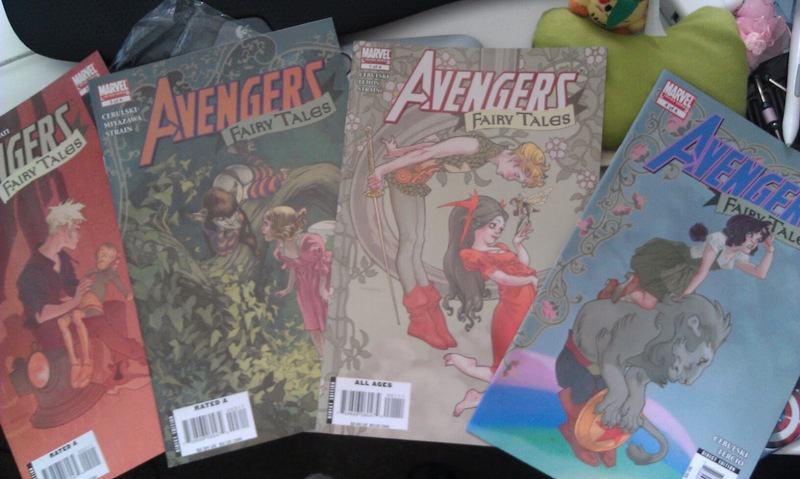 But as for me, I made a great find in these Avengers Fairy Tale books. I mean, c'mon! Fairy Tales and Super Heros? Together? There IS totally a place for me in this crazy art world. PLUS the covers were done by the most talented Claire Wendling, which is what drew me to the books in the first place. I never knew those existed. 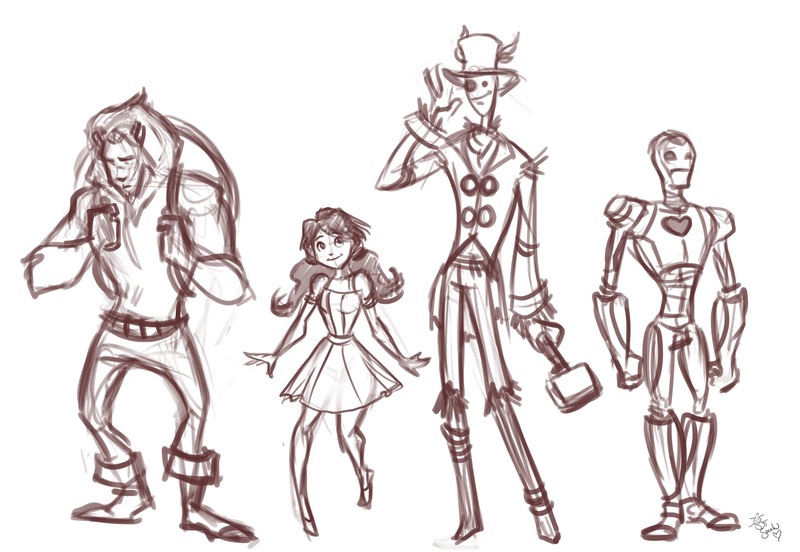 Avengers AND Wendling? That's unbeatable!